If you are visiting Paris, you will find several spots that are must see destinations for travelers. You will want to visit the Louvre, the Arc de Triomphe and of course, you will want to visit the Eiffel Tower. This tower is easily the most recognized landmark in France, and it is one of the most iconic structures in the entire world. It is fun to know some facts on the Eiffel Tower before you visit. You will be able to learn quite a bit when you arrive, but it’s always nice to know more about any location you are planning to see. You will be able to have a greater appreciation for it once you do arrive. One of the nicknames for the Eiffel Tower is the Iron Lady. The tower, constructed in 1889, is the tallest building in Paris at 1063 feet, and the view from the top is amazing. You will be able to see the entire city. The tower is also the most visited paid monument in the world with millions of people climbing the tower each year. The history of the tower is interesting too. The tower was built to be the entrance arch for the World’s Fair in 1889, and it gets its name from the engineer who designed it: Gustave Eiffel. The tower offers three levels for visitors. You will be able to use the stairs or the elevator to reach the first two levels. The climb to the first level is 300 steps and the climb to the second level is another 300 steps. You will only be able to reach the third level with the elevator. You can even dine in an Eiffel Tower restaurant! The first and the second floor both have restaurants available, and it’s a great treat to be able to have your dinner while sitting in one of the most famous structures in the world and gazing out upon the beautiful city of Paris. 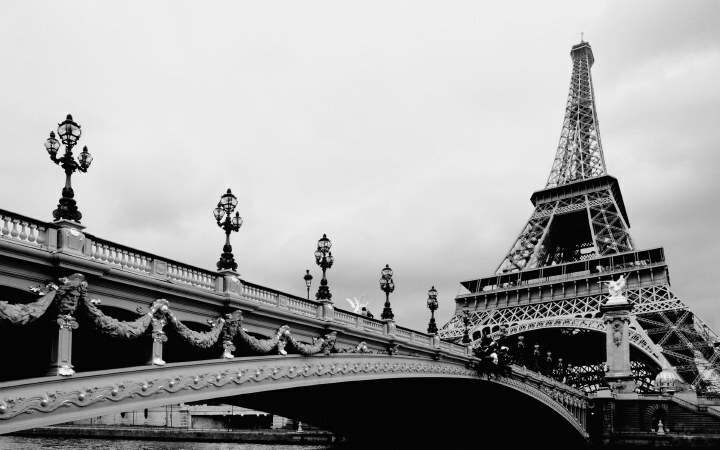 You will be able to find a number of hotels near the Eiffel Tower, some of which are within walking distance. Other attractions as well as other places to dine are within walking distance of the hotels as well. Despite it being a “touristy” location, it is something that everyone who comes to Paris, France should see. While you might not want all of the crowds that come with the tower, once you see it there is no denying its magnificence!